It’s that time again when members of the home décor media roll out their lists of interior design trends for the coming year. While some clients are interested in acquiring the latest look for their home, many of these so-called trends are really just fashion changes or fads that have little impact on how and what professionals actually design. The trend you need to be paying attention is wellness. It’s going to be a game-changer. With so much competition from retailers and low-budget online design services, designers in recent years have been retooling their value proposition to emphasize aesthetics less and livability more. 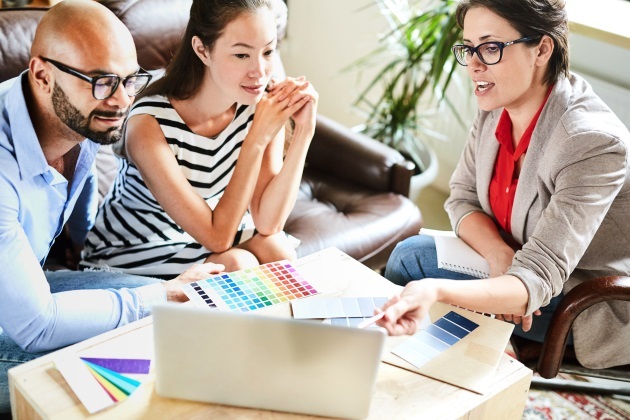 Clients may not need you any longer to purchase products or pick out paint colors, but they do value your ability to make their homes safer, more comfortable and more functional. And a big part of that equation these days is focused on health and well-being. Wellness is big business. It is one of the fastest growing industries worldwide. The Global Wellness Institute estimates that global spending on wellness is currently somewhere around $4 trillion dollars and growing. It is transforming nearly every industry, from food and clothing, to hospitality and healthcare, technology, the media, fitness and recreation, and construction. People are evaluating every aspect of their lives, looking for ways to maximize their health and wellness. This intense scrutiny has led to a growing awareness of how the physical environment affects health, fitness, wellness, and well-being. That is having a huge impact on building and design across all sectors, especially the design of public spaces, offices, hotels and resorts, healthcare facilities, and education environments. All that attention is making its way into the home as well. Whether you consider it a trend or just good practice, green design has helped raise consumer awareness about the potential harm that certain common products and finishes can introduce into the home, as well as the benefits of incorporating nature and natural light into the home. Increasingly, people have come to view their home as a haven from the stresses of daily life, and spa-like bathrooms, fitness areas, yoga and meditation rooms, and outdoor living spaces have grown in popularity accordingly. But these are just the tip of the wellness iceberg. As more of the research and science on health and wellness gets reported on in the popular media, people are examining other ways that their homes can be more healthy and support their overall well-being, including eliminating or countering stress, enhancing mood, and improving the rest and sleep. Kitchens that promote healthy eating, home work spaces that are not only ergonomically sound but also incentivize periodic physical activity, and lighting that helps to regulate one’s circadian rhythms are just some of the next phase of home wellness adaptations clients will be asking for. Designers need to be prepared to discuss and create solutions that address these needs and wants. This is a great opportunity for designers to demonstrate the unique value they can deliver. But it’s critical that that value is grounded in evidence-based design solutions and a solid knowledge of the available products and technology. To compete for these clients, designers need to stay current on the latest health and wellness trends, research and information, because you can be sure clients will be knowledgeable and have lots of questions. Lloyd Princeton is a management and retained search consultant who specializes in the A&D industry including North American product sales distribution. As principal of Design Management Company, Lloyd is an expert at residential design pricing and is a frequent speaker major corporations, governments, developers, manufacturers and trade associations.